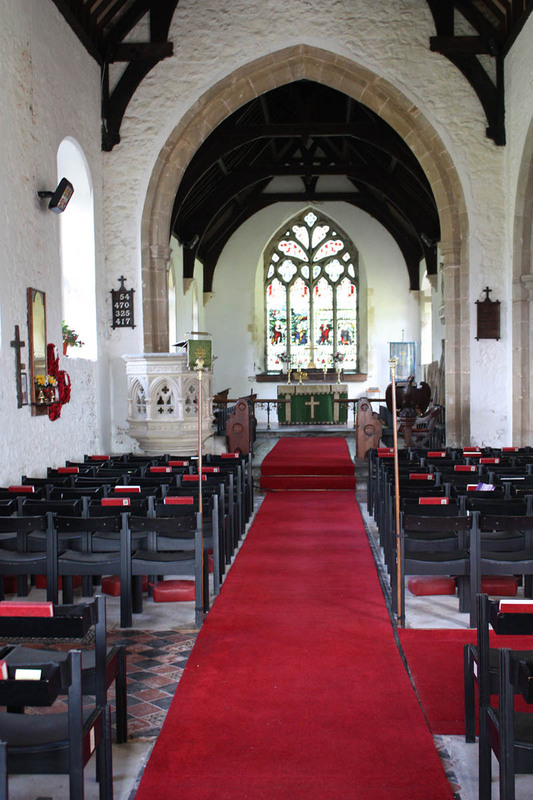 Location: St Mary Magdalene Church, Peckleton, Leicestershire, LE9 7QE. 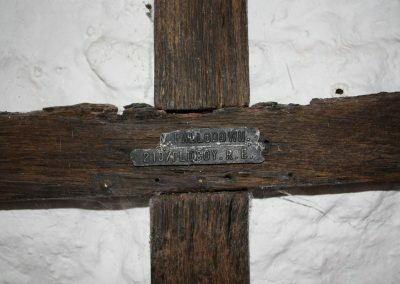 Mounting to wall: held to the wall by two brass screws through the cross in original holes that were used when it was screwed to the stone monument. 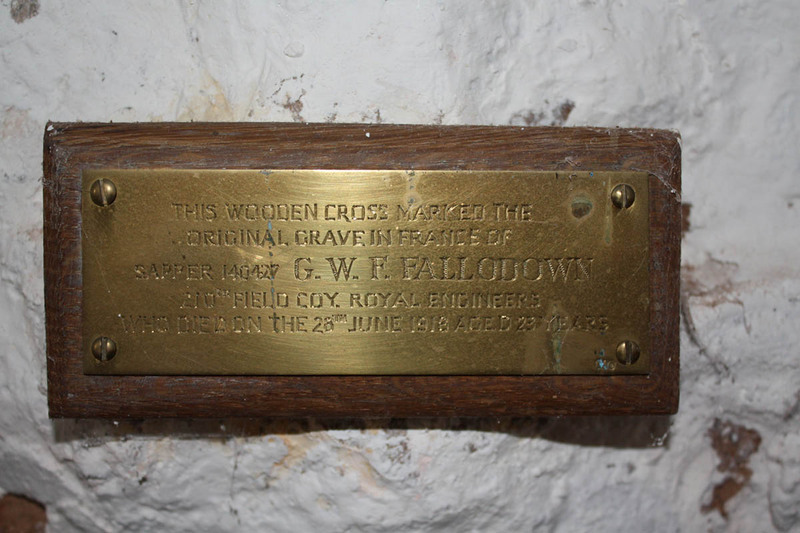 The wooden cross was originally attached to a stone cross monument in the churchyard before being recognised for what it is, being preserved by Leicestershire Records Office and then rehung inside the church. 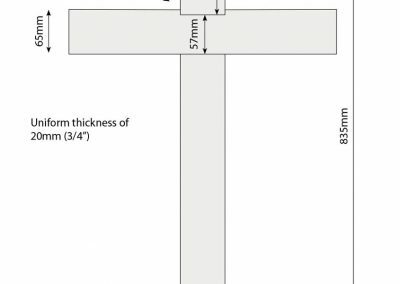 It has a thin stainless steel or possibly aluminium backing to the wood now. 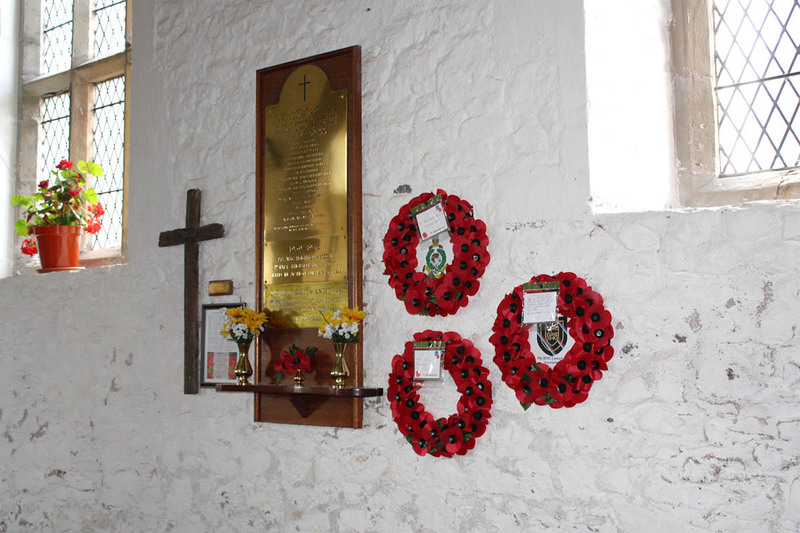 Below is the explanation that is hanging in a frame by the cross, which is itself next to the war memorial plaque. 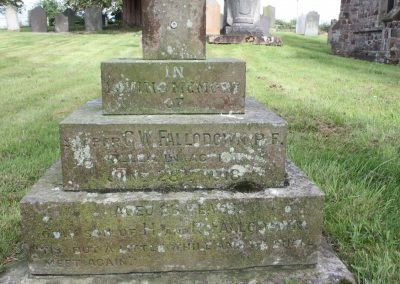 George Fallodown was born in West Deeping, Lincolnshire, in 1895. 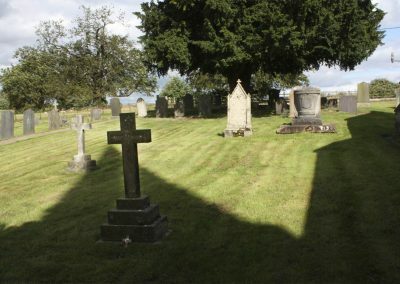 His father Harry was born in Beverley, Yorkshire, around 1865 and his mother Ruth (née Faulkner) in Colsterworth, Lincolnshire, in about 1867. 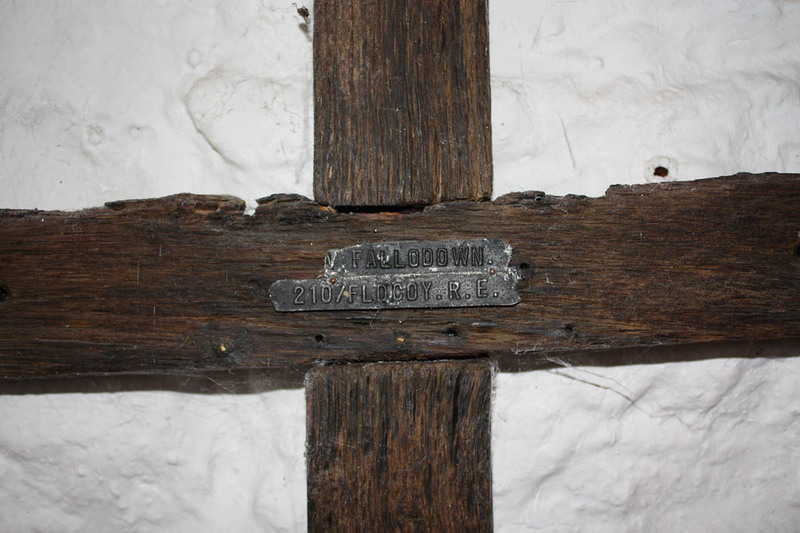 At the time of George’s death they lived at Tooley Park Cottage, Peckleton. 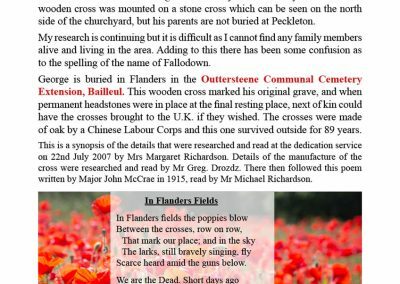 Although we have the Battlefield Cross, his name is not listed on our war memorial, nor at West Deeping, but on the Kettering Memorial instead. 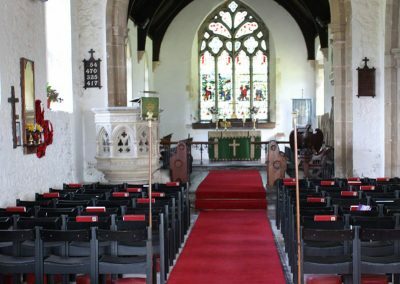 At the time of the 1901 census George was the only child of Harry and Ruth. 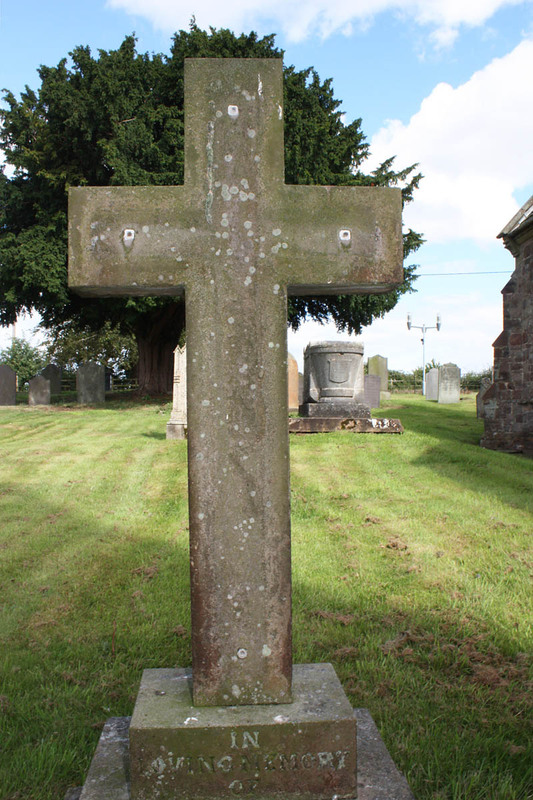 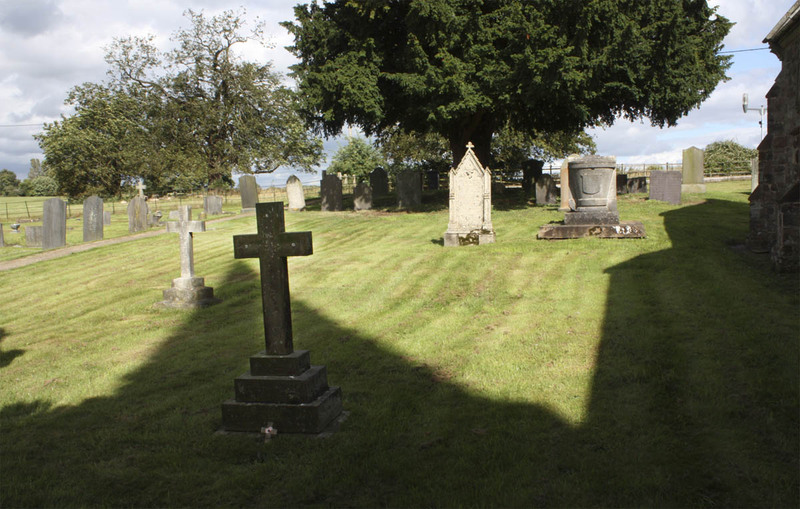 The wooden cross was mounted on a stone cross which can be seen on the north side of the churchyard, but his parents are not buried at Peckleton. 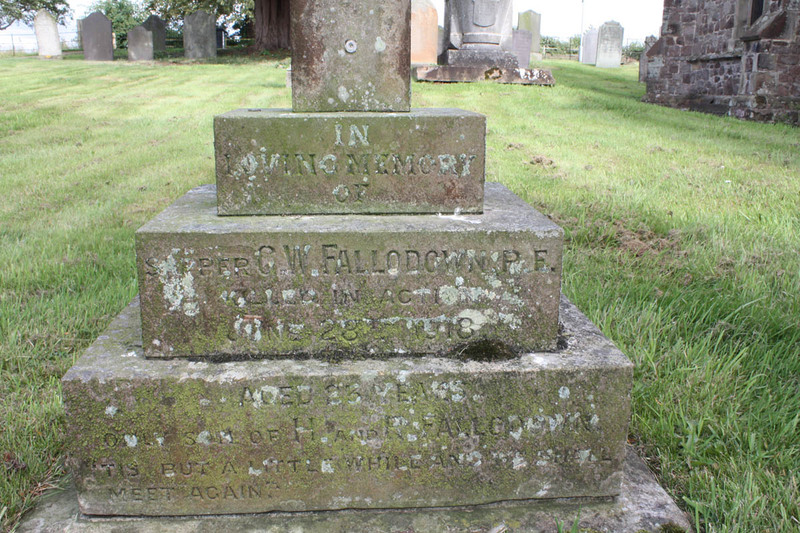 My research is continuing but it is difficult as I cannot find any family members alive and living in the area. 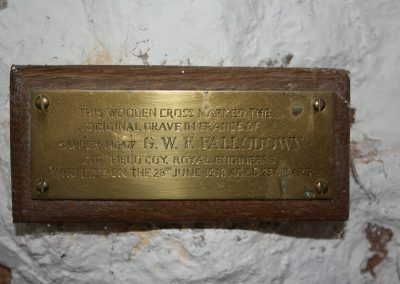 Adding to this there has been some confusion as to the spelling of the name of Fallodown. 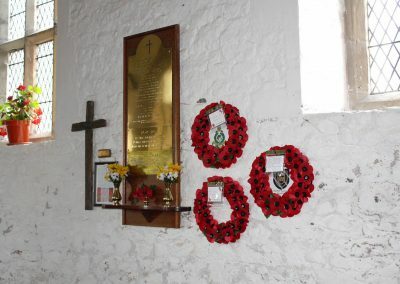 George is buried in Flanders in the Outtersteene Communal Cemetery Extension, Bailleul. 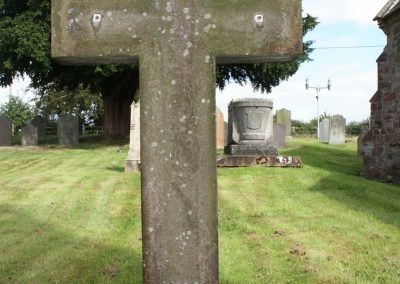 This wooden cross marked his original grave, and when permanent headstones were in place at the original resting place, next of kin could have the crosses brought to the U.K. if they wished. 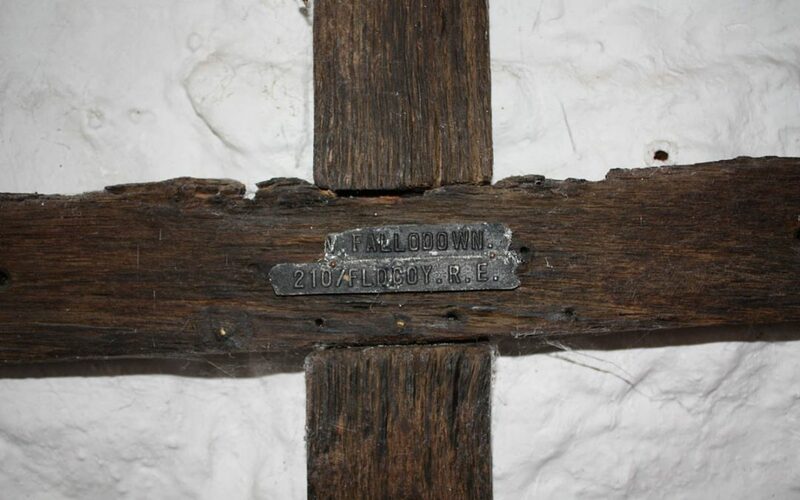 The crosses were made of oak by a Chinese Labour Corps and this one survived outside for 89 years. 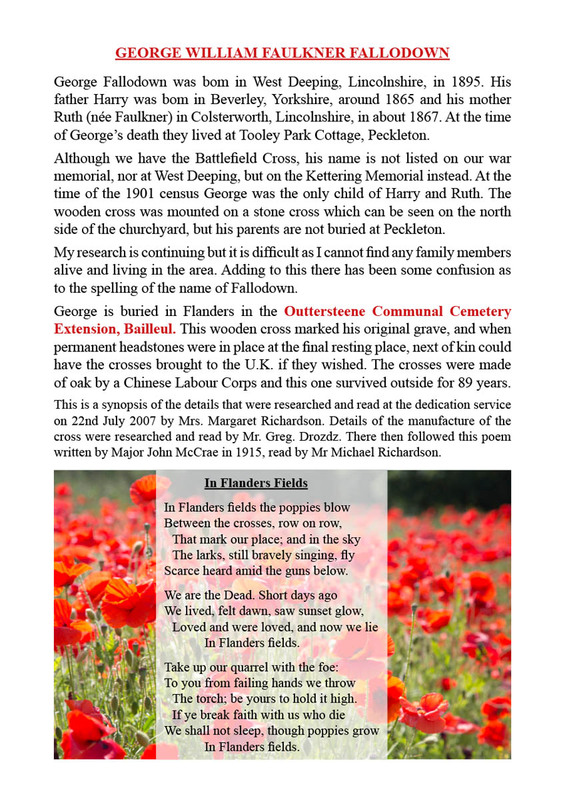 This is a synopsis of the details that were researched and read at the dedication service on 22nd July 2007 by Mrs Margaret Richardson. 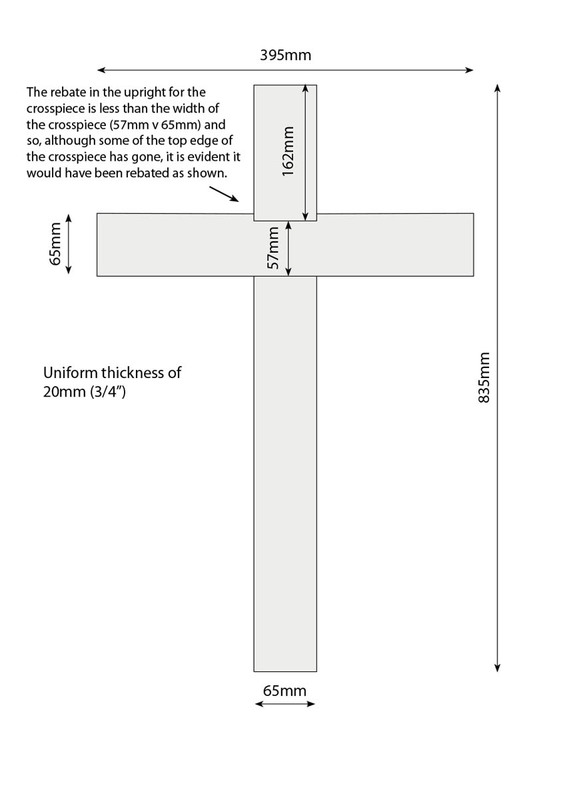 Details of the manufacture of the cross were researched and read by Mr Greg. 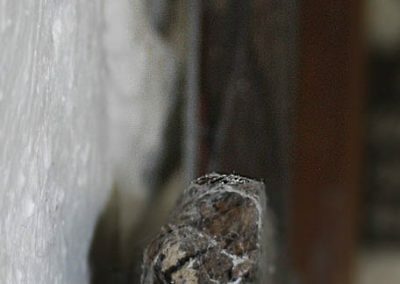 Drozdz.